How would you describe your health before you began receiving your upper cervical chiropractic adjustments? It varied. I experienced vertigo symptoms that were incapacitating. What is it that you heard or read that made you decide to choose my office for chiropractic care? I was referred to the office by a co-worker. Before coming, I was extremely frustrated by my health and a PT told me to also consider chiropractic care. Were you skeptical about chiropractic care? What are the three benefits that you’ve noticed since you’ve begun upper cervical chiropractic care? 1. Change in my posture. 3. 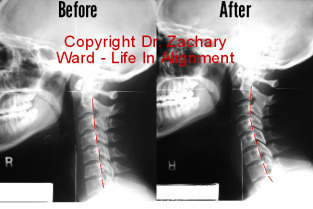 How “out of alignment” I actually was, and how old injuries have affected me. What aspect of this service have you enjoyed the most? I like seeing how my posture has so improved. I can feel it, and see it in pictures, and in the mirror. Thanks for your care!